Theodore Hook, the son of James Hook, the musical composer, was born in London on 22nd September, 1788. He was educated at Harrow School, where, according to his own account, principally distinguished himself for mischief and deceptiveness. At the age of sixteen Theodore and his father began working together on musicals, including the successful Soldier's Return. 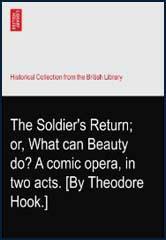 Although ridiculed by Lord Byron, these comic operas were extremely popular with the public. In 1813 Hook used his contacts to acquire the post of the account-general of Mauritius. Four years later allegations were made against Hook and an investigation showed that 62,000 dollars were missing. Hook's property was seized and was imprisoned for two years. When Hook was released he returned to writing. With the help of Sir Walter Scott, Hook was made editor of John Bull, a Sunday newspaper. Hook very patriotic paper that was highly critical of the Whigs. At the time the newspaper was described as "scurrilous, scandalous, but irresistibly facetious". 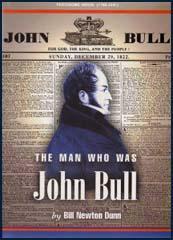 Hook continued to edit the John Bull newspaper for 21 years. He also wrote several novels including Maxwell (1830), The Parson's Daughter (1832), Love and Pride (1832), Gilbert Gurney (1836), Gurney Married (1838) and Births, Marriages and Deaths (1839). Theodore Hook remained deeply in debt and when he died on 24th August, 1841, his property was seized by the crown.